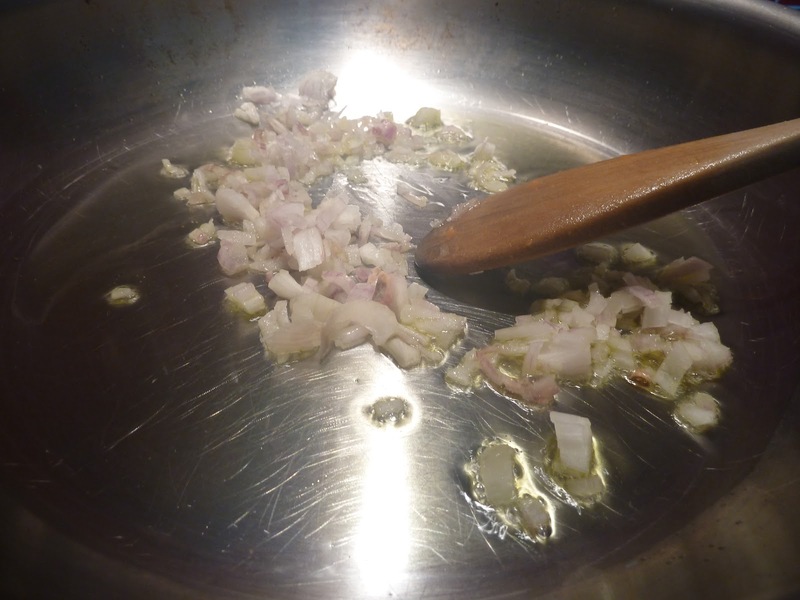 Make sure the chicken stock is warm. 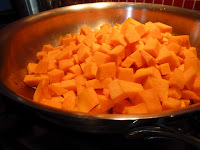 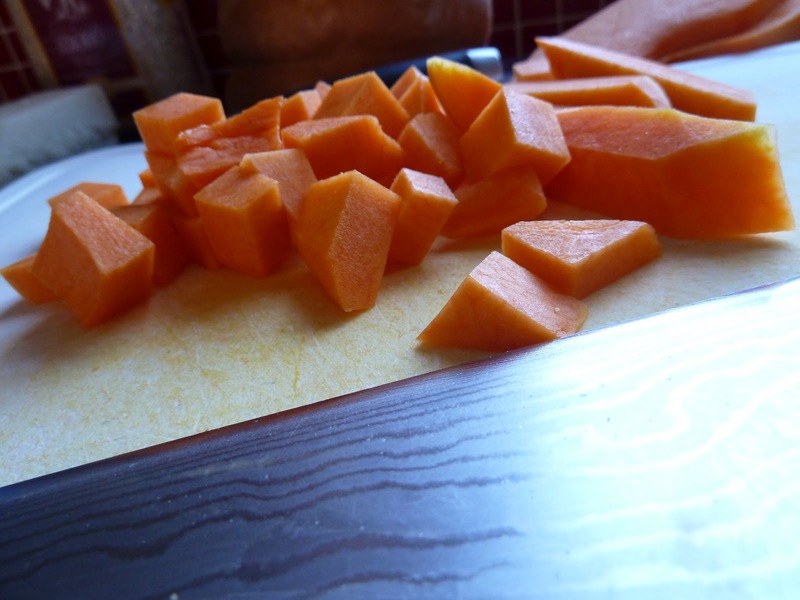 Heat up some olive oil in a pan and fry the diced pumpkin until soft. 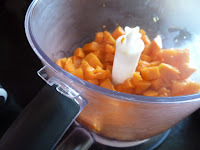 Keep about a third apart for later and put the rest in the blender. 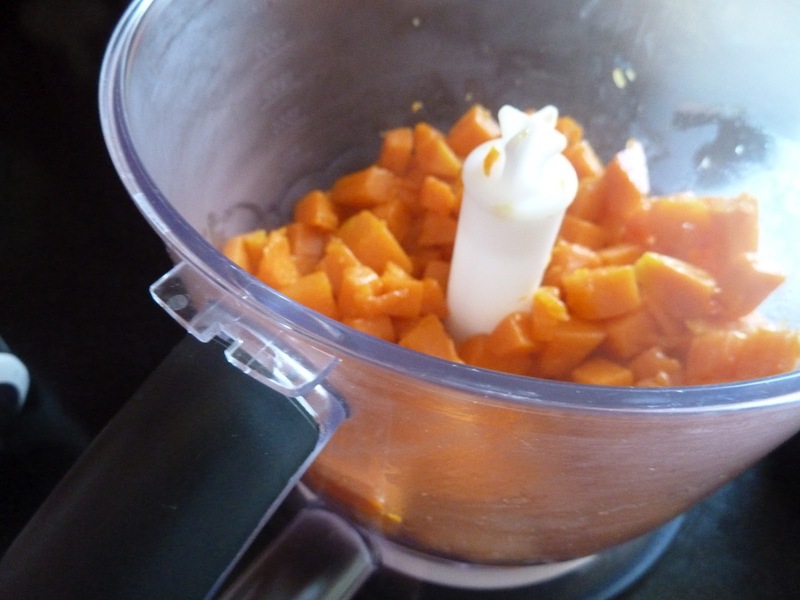 Blend until you get a fine pumpkin puree, add some water if necessary. Season this puree with black pepper and salt and keep aside. 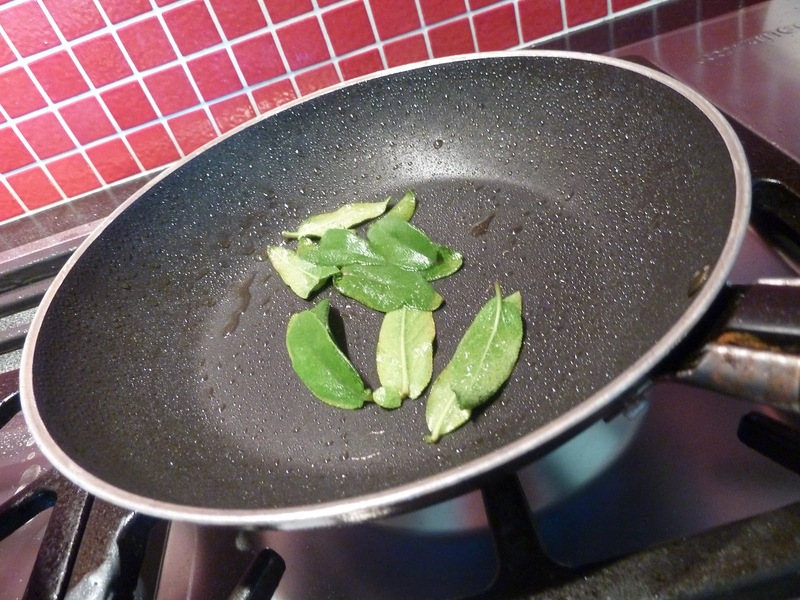 Heat up a couple of drops of olive oil in a large pan and fruit the challots. Add the risotto rice and stir firmly. 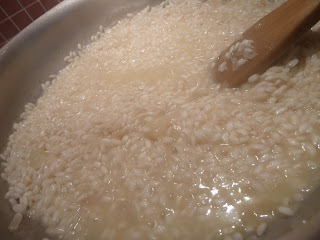 As soon as the rice starts to get translucent you add the glass of wine and just let the alcohol cook out, this won't take long. Then you start to add the stock, ladle by ladle. You add one ladle and when the risotto starts to get dry you add another one. 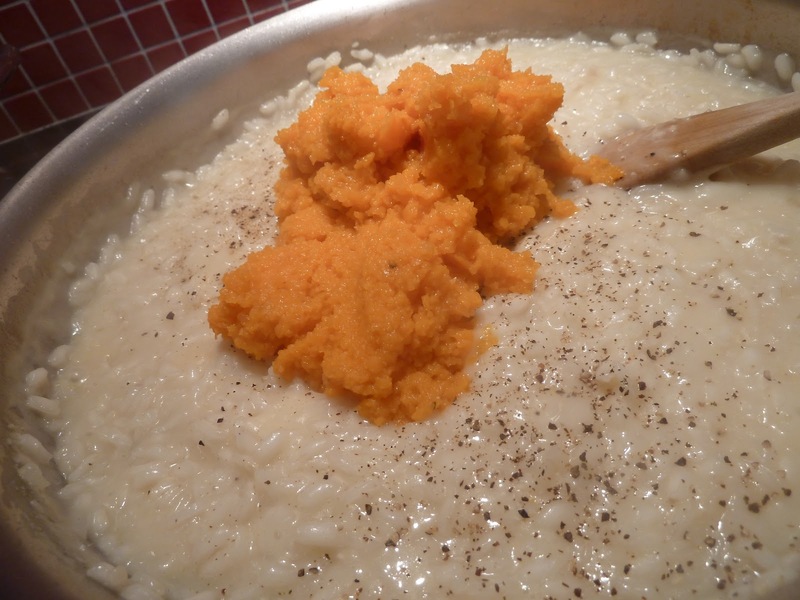 This takes about 15mins to get the rice 'al dente'. 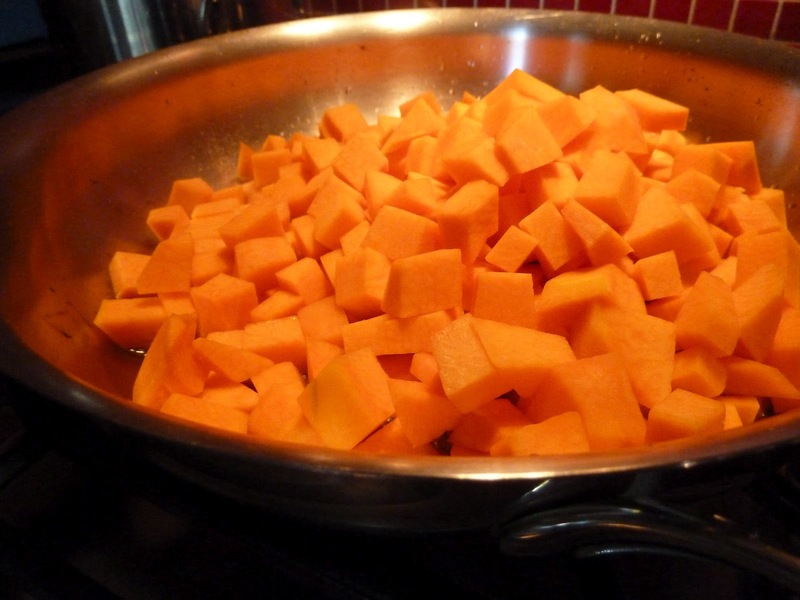 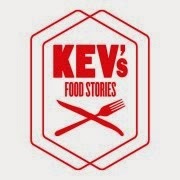 Make sure to taste from time to time, you don't want this to be overcooked and mushy but not undercooked neither. The grain should be soft but still with some bite. 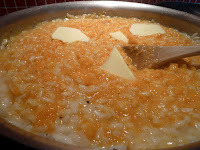 Now add the grated parmesan and let it melt under the rice. 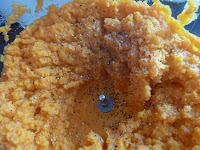 Add the pumpkin puree and diced pumkin and stir well. 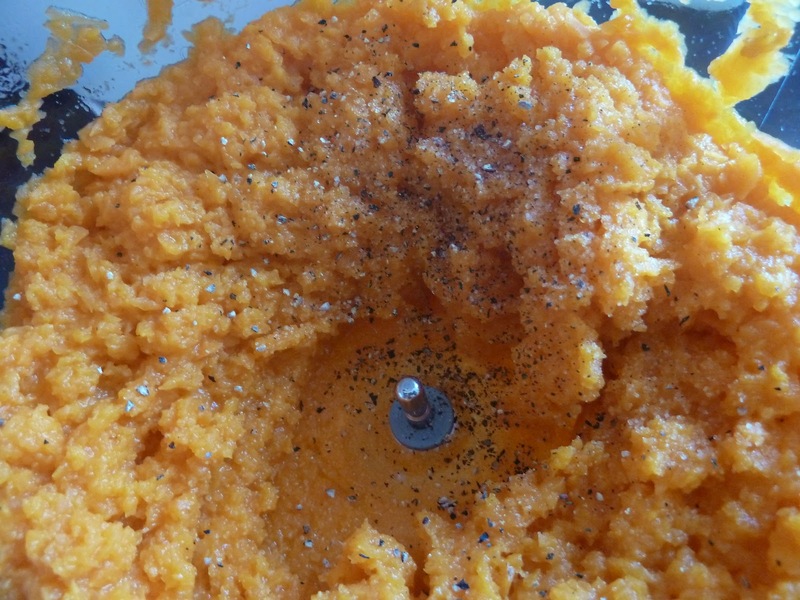 Throw in some knobs of butter, taste and season with salt and black pepper to your liking. Heat up some olive oil in a small pan and fry the sage leaves shortly. 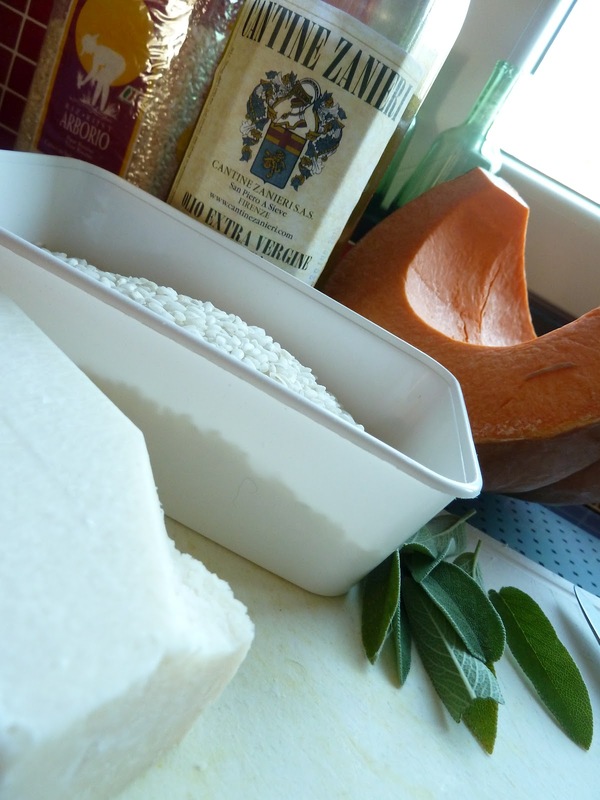 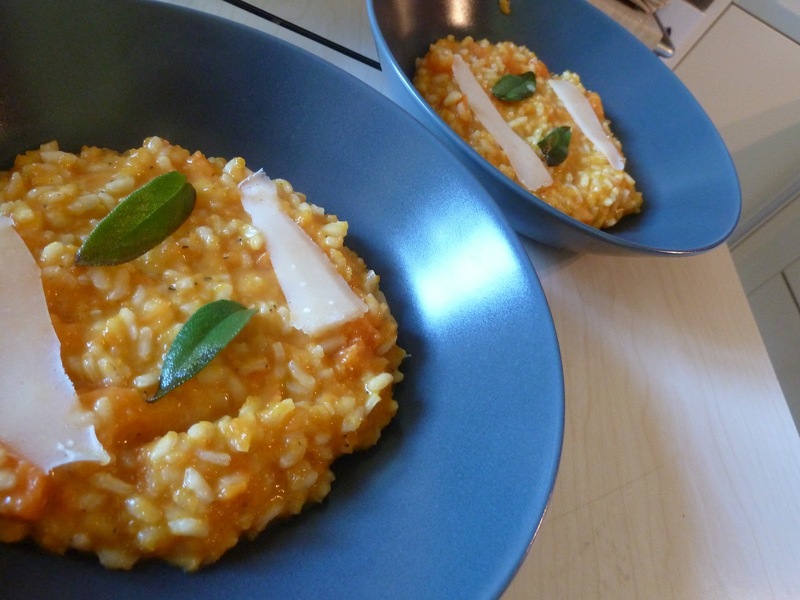 Take a big ladle of risotto and plate it on a dish, decorate with slices of parmesan and some sage leaves.